Instead of reaching for another stale holiday cookie, which will only weigh you down, why not reach instead for something that will give weight to the care of animals! Part of the Chop Zuey’s 2018 WWF Campaign that Belle Roussel has designed, for this year, is It’s a Dog’s Life Charm Bracelet. The bracelet is a quirky, stylish, doggie themed, adorned bracelet. 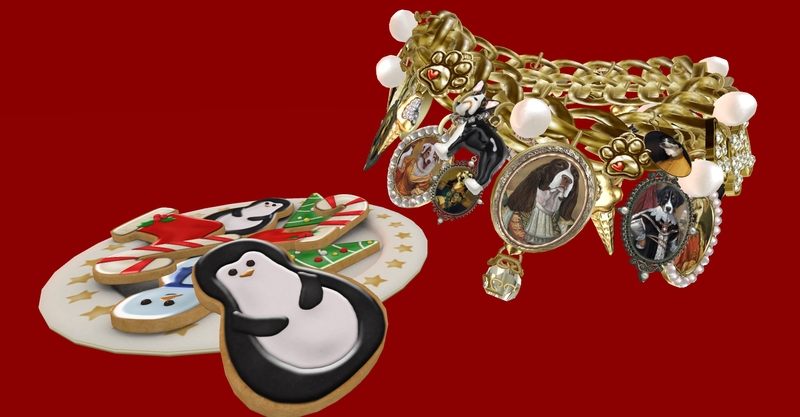 It is a collection of gold trimmed dog portrait caricatures and dog lover related charms that have been dispersed around a shimmering gold bracelet chain. 100% of the proceeds from the sale of this charm bracelet is donated to WWF Animal Campaign 2018 (World Wildlife Fund). Available for only a limited time, this bracelet will make a wonderful and thoughtful gift for the dog lover in your life, which they or yourself, will be proud to wear and show your love for and support of animals.